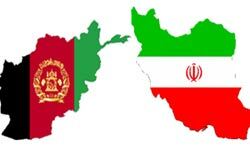 1TV: Iranian President Hassan Rouhani on Monday raised concern over construction of dams in Afghanistan. “Dam construction in Afghanistan and Sistan-Baluchestan province (in Iran) play a role in the desiccation of rivers,” Rouhani said addressing at the opening of a three-day international conference on combating sand and dust storms in Tehran, Iran’s Financial Tribune daily reported. “People will be forced to leave their homes; civilizations will be destroyed.” Click here to read more (external link).